Tim has been in the fire service for 45 years. He began his career serving on the Mebane Fire Department, holding the position of Chief for seven years. In 1985, he became Executive Director of the North Carolina Fire and Rescue Commission, which handles various fire and rescue related programs, including all levels of professional certification and qualification. In 1994, he was promoted to Senior Deputy Commissioner of Insurance in charge of the newly formed Office of State Fire Marshal (OSFM). He also served North Carolina as State Fire/Rescue Training Director. Tim has a Bachelor of Science Degree in Fire and Safety Engineering Technology, an Associate Degree in Electronic Engineering Technology, and is a graduate of the National Fire Academy’s Executive Fire Officer (EFO) Program. He has earned his Credentialed Fire Officer (CFO) from the Center for Public Safety Excellence, and is a Fellow with the Institute of Fire Engineers (FIFireE). Tim Chaired the National Fire Protection Associations Professional Qualification Committee for Fire Instructor for 15 years and served as Chairman of the Board of Governors for the International Fire Service Accreditation Congress for 14 year, having served as a Board member for 20 years, and was a Charter member of the Board. He has served on the Board of the International Accreditation Service in the ICC, the Advisory Board of the NC Jaycee Burn Center, and the Commission on Professional Credentialing. He served four years as a Board Member for the National Association of State Fire Marshals. Involved in numerous programs at the national and international level, he has spoken at conferences in South Africa, France, England, and several Canadian Provinces. In 2007 at the request of the National Volunteer Fire Council, he testified before Congress concerning interoperability in emergency radio communications. He is a Certified Fire Investigator, certified as a Fire Officer Level IV, and a certified Fire Instructor. He was awarded North Carolina’s Firefighter of the Year Award in 2003, and in 2007 he was awarded Firehouse Magazines Heroism Award for the rescue of a five year old boy from a house fire. He has received his department’s award for valor, and firefighter of the year award twice. He received the Distinguished Service Award from the NC Association of Building Inspectors, and in 2007 he was awarded the State Employee Award of Excellence, the highest award given to State Employees. In 2007 he was recognized by the Institute of Fire Engineers as a Fellow, and carries the designation FIFireE. He has written articles for several quarterly publications and has had articles published in several fire service and fire engineering magazines. 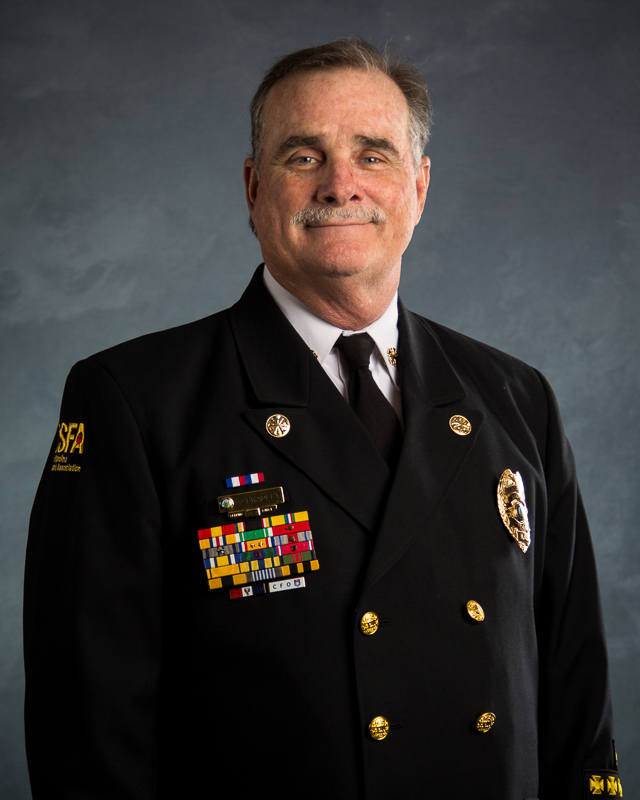 He was awarded the Martin E. Grimes award by the International Fire Service Accreditation Congress for his work on accreditation and certification on the international level, and in 2012 he was awarded the J. Faherty Casey Award from the National Fire Academy. He received the Steven Zamara Excellence in Government Award in 2012 for his work on affordable housing. On August 10, 2013 Tim Bradley was awarded North Carolina’s highest civilian honor, the Order of the Long Leaf Pine. The award is given by the Governor to individuals who exemplify extraordinary service to the state of North Carolina. For over 28 years Tim worked with the NC Office of State Fire Marshal. 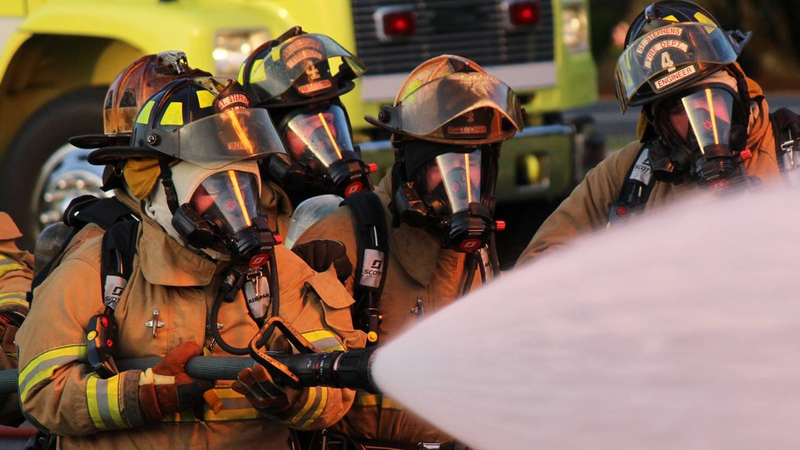 He is currently the Executive Director for the North Carolina State Firemen’s Association and manages a staff of 6 and a membership of more than 53,000. The NCSFA provides its membership insurance benefits, retirement plan options, scholarships for its members and their children, training opportunities, legislative representation, and so much more. In addition to his employment and fire service related activities, as well as his career as a volunteer firefighter spanning 45 years, Tim serves as an elected member of the Mebane City Council, serves as a Deacon in his Church, and teaches Sunday School and bible studies. His hobbies include woodworking, writing poetry, hunting and golf. He resides with his wife Vickie and four daughters in Mebane.